The pictures of my plants, as promised. 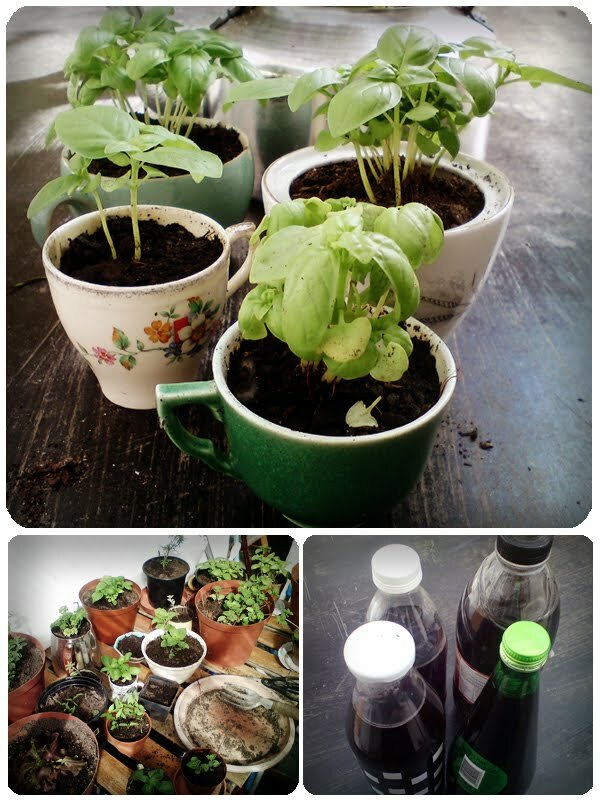 My cute little cups of basil. 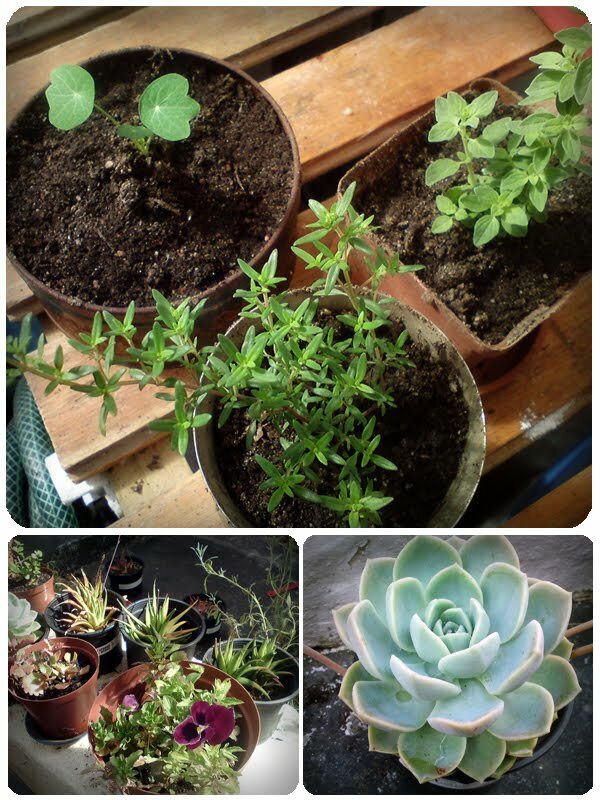 MY potting and rehab centre. I also bottled some of my worm tea, I diluted it 1 part worm tea to 3 parts water. Think I may sell some of this at the next market. I'm growing more nasturtiums in a pot away from the ahpid infested wall area. And my beautiful aloe flower thingy. I don't know what they're called, but I love them most. i must admit i am rather jealous... I had mint basil, chili peppers and parsley. They all died :( eben the parsley. 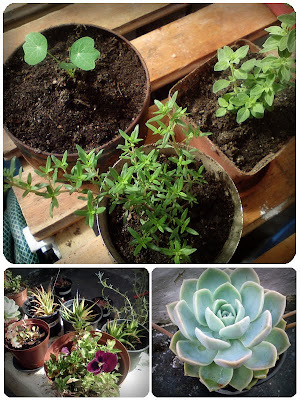 I love teeny gardens! and those aloe thingies, one of my favs too. What do you use the worm tea for? your basil teacups are also lovely! !